I’m currently helping several businesses focused on local advertising with both SEO and SEM (Paid Search, PPC). Depending on the industry and market, Local PPC can be both extremely competitive and pricey. Of course, the upside is capturing those highly targeted clicks and turning them into paying customers, which could yield hundreds or thousands of dollars per conversion. When the difference between page one and page two could be significant amounts of revenue, the companies vying to gain those clicks can become hyper-competitive (and that’s an understatement). I’ve heard stories about some companies incorporating clicking through competitor ads as part of their morning routine… That’s not cool, but very real for the industry and market they are located in. Based on what I just explained above about, the dark side of paid search ends up rearing its ugly head for some local businesses. In highly competitive industries, and in highly competitive markets, click fraud can run rampant. The thought process is simple (and unethical). Eat up your competitor’s budget so you have more of an opportunity to catch highly targeted clicks. As mentioned above, those highly targeted clicks could yield thousands of dollars per day from new customers (depending on the industry). I think a lot of people have heard about click fraud, but few have actually explored the problem and how it’s affecting their campaigns. For many local businesses attempting to land the ultra-targeted, “ready to buy” customer, click fraud can be a real click, I mean thorn, in their side. That’s not good for anyone involved (including Google and the other search engines). So how much of a problem is click fraud for local businesses? It depends on the industry and market, but I’ve seen click fraud rates as high as 35%. 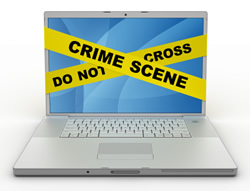 Click Forensics publishes the Click Fraud Index and found that the industry average for Q3 2009 was 14.1%. That’s definitely high, but the abnormally high click fraud rates for local search give a whole new meaning to the term hyperlocal. :) Click fraud rates that high can make a serious dent in your budget, put a strain on ROI for your paid search campaigns, and can end up intensifying the overall click fraud problem (increasing the amount of click fraud as some business owners retaliate). So yes, click fraud is a big problem (and can be especially fierce in local advertising). For those of you not that familiar with click fraud, I’ll provide a quick rundown. There are actually several types of click fraud (and reasons for committing it), but I’ll focus on the act of attempting to deplete a competitor’s paid search budget by clicking on their paid search advertisements. And of course there is no intention of taking action on the competitor’s website once clicking through. In a nutshell, it’s Business A clicking on Business B’s ads in order to deplete Business B’s daily budget. Also note that it doesn’t have to be in the form of repetitive clicks from one location. Business A might hire other people or companies to help click on competitor ads (which can be accomplished via click farms, bots, etc.) You can read more about click fraud in Google’s Ad Traffic Quality Resource Center. Many local businesses running paid search have no idea that Google actually provides statistics on the “invalid clicks” they catch. And by the way, “invalid” is a nice way of saying “click fraud.” :) Google provides some great reporting functionality as part of AdWords and I think too many companies (especially small businesses that are moving at light speed) never tap into the reporting to track campaign performance. Google’s system is continually analyzing clicks and looking for patterns that may be fraudulent. For example, clicks from the same IP address, duplicate clicks, clicks from “known sources of invalid activity”, etc. You can read more about how Google calculates invalid clicks in AdWords help. The system is essentially looking for any type of suspicious activity. Based on running invalid click reports for a wide range of clients, I typically see a much higher percentage of invalid clicks for companies focused on local search. How much higher? Well, comparing invalid click rates across industries, I’ve seen local-centric clients receive 4X to 5X the percentage of invalid clicks. That’s a lot of clicks, and more importantly, a lot of potential money at risk. Now you might be asking, “Glenn, if Google catches the invalid clicks, then the companies shouldn’t get charged, right?” True, but that’s only for what Google catches… Their system isn’t flawless (especially because well-crafted click fraud is nearly impossible to identify). That’s just an unfortunate reality. So, if you see a 20% invalid click rate, it just might be 30-35%. Let’s add a monetary value to the click fraud problem I mentioned above. In some industries, local businesses are paying $20-$30 per click (yes, you read that correctly). For argument’s sake, let’s say you receive 100 clicks per day at $20 per click. If Google picks up a 20% invalid click rate, and we estimate that it’s really 30% (just for this example), then there is 10% still getting past Google’s filters. So, the 100 clicks coming through are “actual clicks” according to Google (since it won’t charge you for the invalid clicks, or the 20% it caught). Out of the 100 actual clicks that you are being charged for, the 10% of invalid clicks that slip through equate to 10 clicks at $20 per click (or $200 per day). Over a month, that’s over $6000 per month potentially wasted. For many small businesses, that may be too much to overcome. And that’s exactly what the people committing click fraud want to happen. They want to push competitors to the point of quitting AdWords (and paid search in general), which leaves the fraudsters in control of the paid listings. Needless to say, this isn’t good for the paid search industry, the local businesses getting hit by fraud, and of course Google (since Google makes a majority of its money from paid search). What Can Local Businesses Do About It? Although click fraud is a big problem, and one that’s hard to overcome, there are some things you can do to stay on top of the problem. I’ve provided a list of recommendations below to help you stay informed, track your clicks, and potentially fight click fraud. The more you understand what’s going on, the more you can develop a strategy for documenting and combating the problem. 1. Run invalid click reports on a regular basis. This will help you understand how many invalid clicks are occurring, if they spike during certain times, and which campaigns they are impacting. You can also speak with your Google rep (or any rep at AdWords) about the problem, based on the data you collect. 2. Break up your campaigns logically. 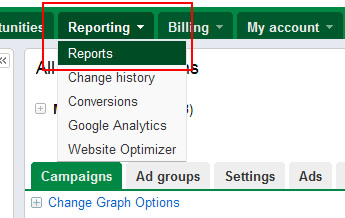 You can run invalid click reports on an account or campaign level (but not ad group). If you lump all of your ad groups into one campaign, you won’t get as clear of a picture of the click fraud problem impacting your business. 3. Analyze your log files to determine problematic IP’s. Unfortunately, Google isn’t going to provide details about the invalid clicks they find. They will just show you a total number and not reveal who is committing the click fraud. I think that’s unfortunate, but it’s just the way it is right now. But, you can get in touch with your hosting provider (or your IT department) to analyze your server logs. If you competitor is clicking from a specific IP (like their office down the block from you), you might be able to pick it up. Then work with Google and your lawyer on next steps. 4. There are third party solutions that can help you track and identify click fraud. If you believe that your business is the victim of severe click fraud, you might want to go down this path. For example, Click Forensics (which also publishes The Click Fraud Index mentioned earlier) provides services for ad networks, publishers, agencies, and advertisers. There are also several other solutions for tracking fraudulent clicks that are relatively easy to set up. Do some research and demo the various solutions. They could end up saving you a lot of money. 5. Get familiar with Google’s Ad Traffic Quality Resource Center. There’s some good information about click fraud in the center, including an overview of the problem, key definitions, a help center, ways to contact Google’s quality team, etc. 6. Don’t participate in click fraud. Although it should be obvious, contributing to the overall click fraud problem isn’t going to help anything. You should focus your time and attention on running ethical and ROI-driven paid search campaigns and then deal with click fraud legally. Work with Google, your IT staff, your hosting provider, third party solutions for tracking click fraud, and your lawyer in determining the best path to take. Is click fraud a problem for local businesses? You bet. But you don’t have to sit there in the dark as your competitors click your ads. You should educate yourself about click fraud, stay vigilant, remain white hat (ethical), and analyze the situation to the best of your ability. As mentioned earlier, Click Forensics says the industry click fraud rate was 14.1% in Q3 of 2009. As a business owner focused on local advertising, you need to decide if you’re ok with that number… Is click fraud just part of doing business in Local PPC or should you fight to save your budget (and the potential customers that would come from that budget?) Like I said earlier, local click fraud gives a whole new meaning to the term Hyperlocal.